Their commonality with plants of other landmasses, or uniqueness to our own continent, tell us much about our ancient origins and past episodes in Australia’s geological history. Their contribution to a naturally-sustained landscape invites a closer study of their involvement in grass/soil synergies. Their many propagation and survival strategies, that so often frustrate our efforts at domestication, are also a clue to how we might better engage with and manage them. Learn more about the Native Grass Resources Group. Get familiar with Australian native and introduced grasses with the aid of Google Image Search. 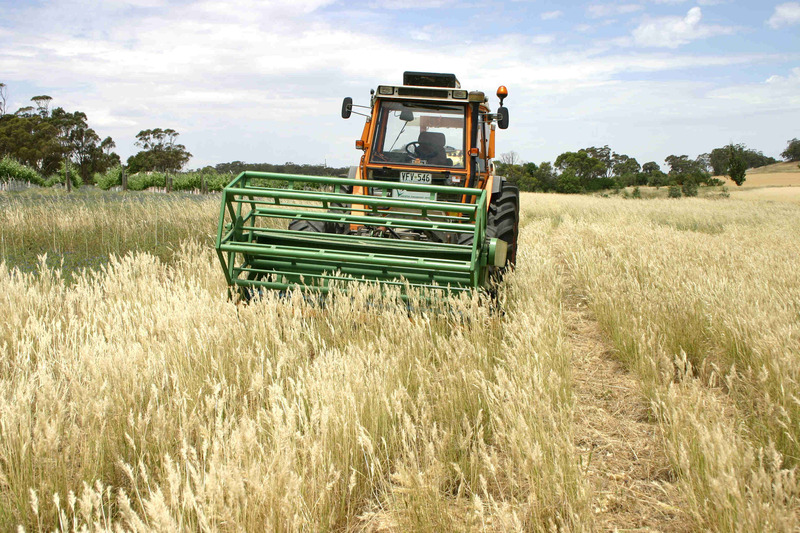 Consider the application of Australian native grasses in sustainable land management. Be challenged with the task of propagating native grasses that still persist in the wild. View and comment on observations and ideas in Crazy Jack’s innovation corner. Any idea where I could source a copy from? Thank you for your inquiry regarding the availability of the Grass Identification Manual. Unfortunately we have not been able to make immediate contact with the person responsible for the distribution of this publication. We shall get back to you as soon as we have something positive in regard to this matter. It is understood that your needs are now being attended to. Normally to make any inquiry concerning our publications it is simply a matter of emailing publications@nativegrassgroup.asn.au. However your request has led us to discover that our email links are down at the moment. This is a matter we hope to resolve ASAP. Our apologies if this has inconvenienced you or any other of our viewers. PS Inquiries can now be made via our contact form on the Publications page.